We are truly independent and owned by vets living locally in the community. Our nurses work 24 hours a day, 365 days of the year to care for patients round the clock. We’ll never leave your pet alone. We will never ask our clients to travel to an outsourced emergency service run by a third party. Our vets, our nurses, our hospital. 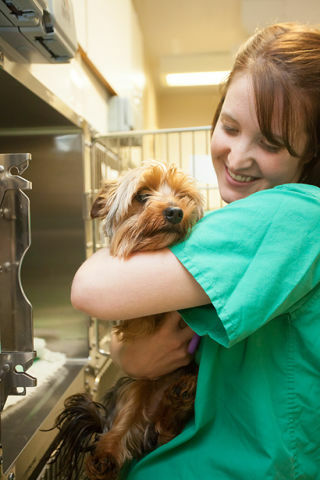 Our receptionists will always ensure that the most appropriate vet is available to help your pet. Excellent diagnostic, surgical, hospitalisation facilities. All our vets have achieved, or are taking, higher qualifications in specific fields so that you can see the best person to deal with your pet’s problem quickly and efficiently. Check out our prices for vaccination and neutering – the cheapest in the area by far. Why pay more? Our receptionists can offer consulting times throughout the day and into the night so that you can be seen at a time that is convenient for your lifestyle. Saturday and Sunday appointments are also available. We can arrange to claim for treatment directly from your insurer to help with your cash flow. It is practice policy that payment is made at time of treatment. Please be aware of this before consenting to treatment. If you require an estimate, please speak to the vet dealing with your pet. All our surgeries are purpose built, scrupulously clean, and air conditioned, with easy access and good car parking. 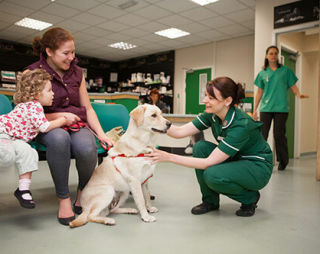 All our vets, nurses and receptionists are here to help you and your pet. Free advice is just a phone call away.